Отель Ji Hotel Qiqihar Bu Kui Street находится в городе Qiqihar. 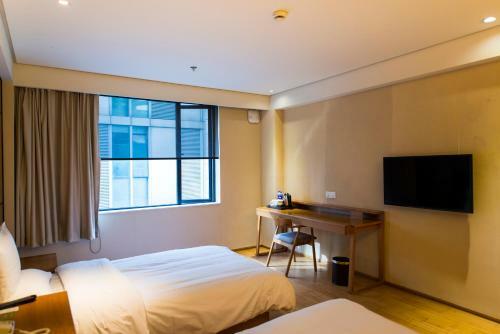 Accepting only Mainland Chinese citizens, Ji Hotel Qiqihar Bu Kui Street offers accommodation in Qiqihar. Each room at this hotel is air conditioned and has a flat-screen TV with satellite channels. You will find a kettle in the room.